Due to is 58 locks The Worcester & Birmingham Canal is a popular boating holiday route for energetic crews or those which don’t have a problem taking their time. It is now part of both the Stourport and Avon Cruising Rings. Leaving Birmingham’s vibrant waterfront, with its museums and wine bars, behind you, cruise into a beautiful outlying landscape. Then navigate the spectacular flight of locks at Tardebigge and enter the River Severn. You can start your narrowboat holiday at Dunhampstead near the beautiful cathedral city Worcester in the south or further north at Autherley Junction in the energetic centre of Birmingham at the northern end. In between the two cities the waterway meanders the green rolling hills of Worcestershire. At its north tip, this canal connects to the Birmingham Main Line. This junction know as the Gas Street Basin once was a booming transport centre. These days, the narrowboats and attractive wrought iron footbridges sit together with bars, cafes and restaurants. Near by is the lavishness collection of stores called the Mailbox, having fashionable clothes outlets and coffee houses. The Cadbury Factory used to be the destination for many of the cargos that once travelled the canal. Now, this is the well known Cadbury World. It is a wonderful day out for all the family, especially if you’ve got a craving for all things chocolate. At The Lickey Hills you will find 3 extended underground tunnels. Here the channel was moved enabling the construction of the M42 motorway. 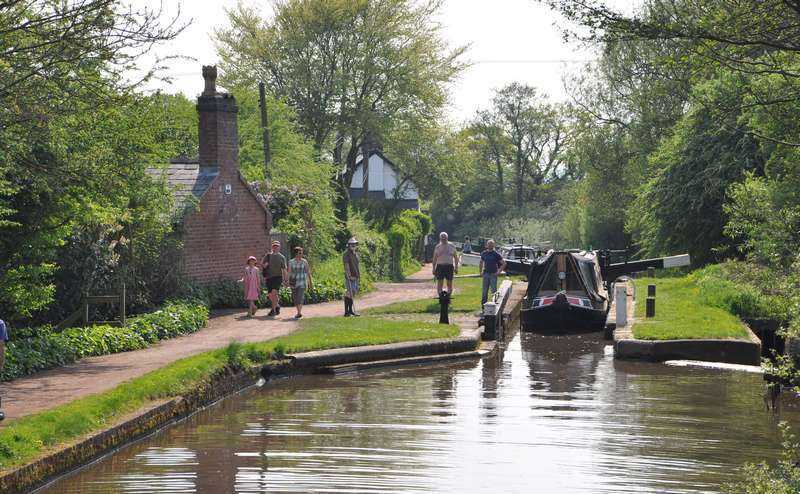 With its dry dock, workers cottages, maintenance yard, and old warehouse, Tardebigge Wharf continues to be the principal location for repairs and maintenance on this waterway, it is also an ideal starting point for a walk. The only locks you will encounter are on the southern half as the waterway descends towards the city of Worcester. There are 58 locks in all including a flight 30 at Tardebigge over a distance of two miles making this the longest flight in Britain. 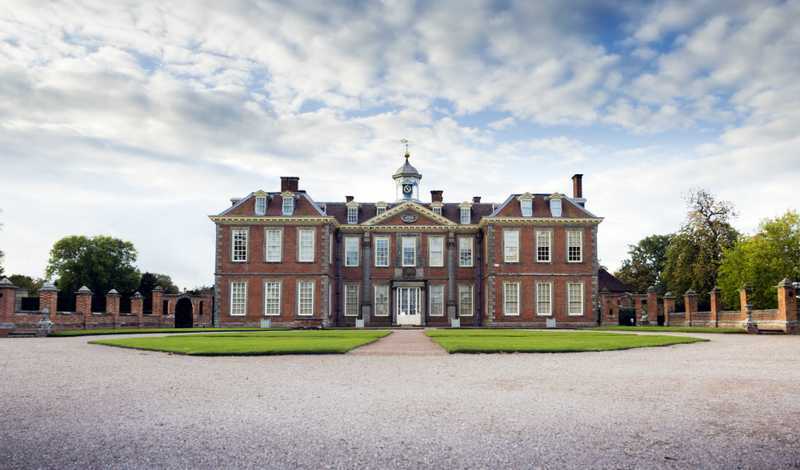 The National Trust owned Hanbury Hall may be easily reached by way of a short walk from Astwood Bottom Lock. The connection with the Droitwich Junction Canal, and also the Droitwich Barge Canal can be found at Hanbury Junction. This enables you to reach the River Severn at Hawford. Here you can also find the Hanbury Flight of locks that has been reconstructed by volunteers and Hanbury itself is that it’s reported to be the real world version of Ambridge, home of Radio 4’s The Archers. Begin by exiting the marina onto the Worcester and Birmingham canal heading northeast. In around 2 hours you will encounter Tolladine Lock. You’re able to moor here for a break or even for the night if you wish. There are no shops nearby so ensure that you have enough provisions with you to last through the night. On your second day you will be cruising to Stoke Pound Bridge. On your way you’ll encounter the beautiful village of Tibberton. here you can moor up at one of the local pubs such as Speed the Plough or the The Bridge Inn and have a bite to eat. The village of Oddingley is a little further along, where you will find fifteenth century church. Next up will be the 230 yard Dunhampstead Tunnel followed by an excellent opportunity to sample some good food at family friendly Firtree Inn with it’s large beer garden. While approaching the active Hanbury Wharf, you will observe a small lighthouse ahead of you. Upon departing you will find yourself cruising into the pleasant countryside encompassing Hanbury Hall, prior to your approach to the Astwood flight of 6 locks. Once you have tacked these you will come to Stoke Wharf and Stoke Pound Bridge where you can moor up for the night. Prepare for a busy morning as you head out from Stoke Pound Bridge climbing through the Tardebigge Locks (there are thirty in total). You will notice the countryside opening up while you make your way to the top. Between each lock there are some very attractive cottages and pleasant scenery and overlooking the watercourse. 20 meters below the top lock you will find the Tardebigge feeder reservoir where a a steam engine used to pump water up the summit. Once you reach the top you’ll be approaching Tardebigge Wharf. It is overlooked by St Bartholemew, an eighteenth century church on a hill to the east. You can moor up at the wharf if you like and walk into Tardebigge itself. In the afternoon you will travel to the pleasant town of Alvechurch with its wonderful timbered buildings. 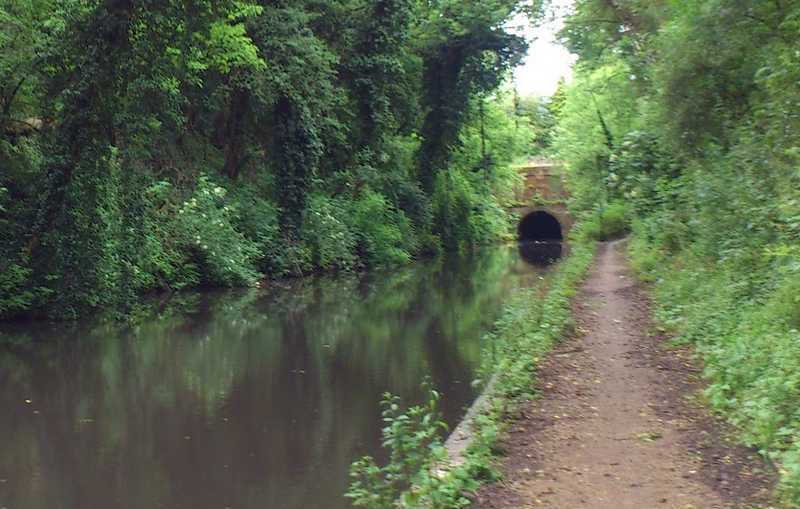 To get there from Tardebigge you will need to navigate two long tunnels, both are around 600m long. Between them the canal meanders through some gorgeous countryside. On the morning of the fourth day you will quickly reach the village of Hopwood. Here you will find a lovely pub which serves some great food and is family friendly called Hopwood House. Further north you will encounter the 2726 yard long Wast Hills Tunnel (certainly one of the longest tunnels in the UK). Next up you will have the opportunity to visit the world famous Cadbury World with its exhibition showing the history of chocolate. 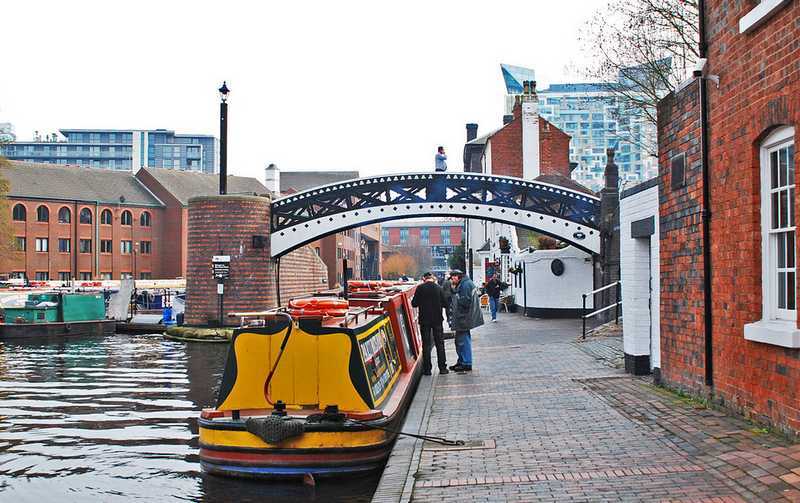 Another 3 miles will see you reach the return point of you journey – the Gas Street Basin & Brindley place – the very centre of Birmingham’s waterway network. There are obviously numerous activities to do here: more than five hundred restaurants to pick from, bars and clubs, theatres, cinemas, comedy clubs, art galleries and countless shops.